Affiliates are a great way to incentivize your happy customers to become advocates for you and your products. When your affiliates refer new customers to you, you’ll be able to reward them with a percentage (or dollar amount) of each sale. We’ll handle all of the calculations for you — all you need to do is click a button to pay them. It’s your choice if you want to pay them immediately after the referral, or wait 14 days, 30 days, etc. 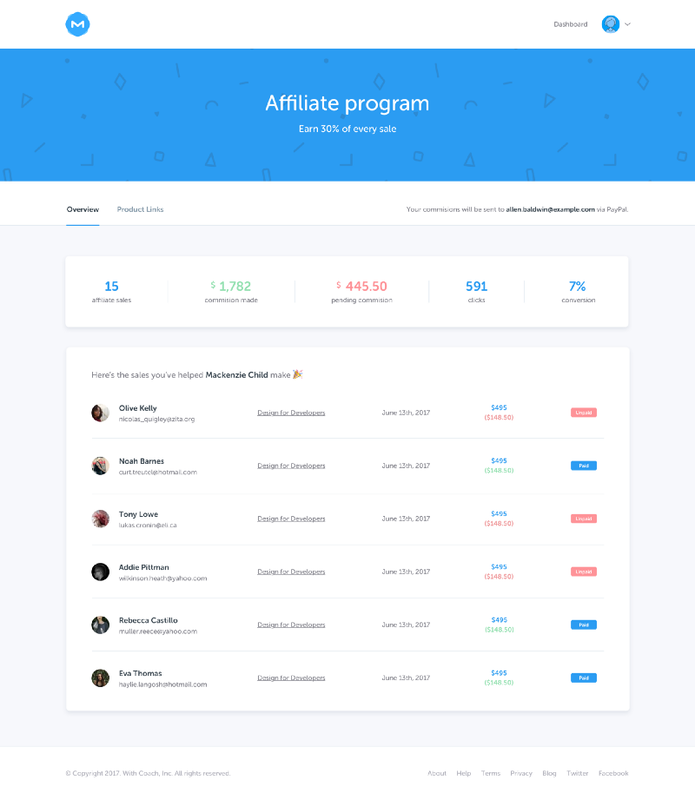 Ready to set up your own affiliate program? Follow the steps below to get started. First, set the commission terms that you want to pay your affiliates for referring new customers to you. You can choose between a percentage or dollar amount. 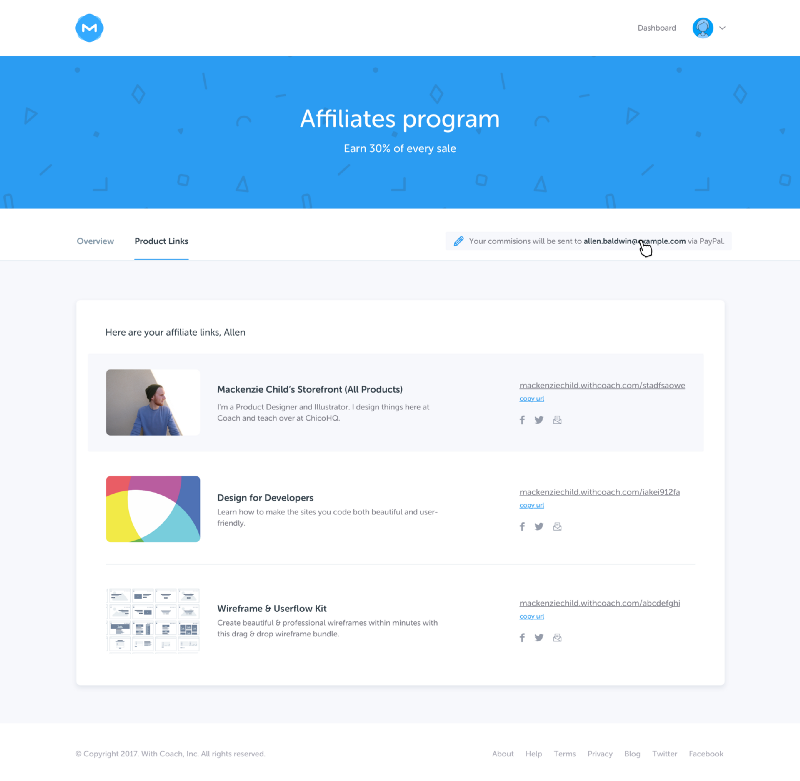 Your customers can now become your affiliates. All they'll need to do is enter their PayPal email address to join. We don't automatically notify your customers that you've turned on Affiliates, so you'll need to let them know. The best way to do that is by send your customers an email letting them know that they can now earn money by referring customers to you. When a new sale comes in, you'll get an email with all of the details. At that point (or at some point or in the future, i.e. - 15 days, 30 days, etc), you can pay your affiliate with one-click, and mark the sale as "paid." Your Affiliate will see on his/her Affiliate Dashboard that the money has been paid, and he/she will get an email notification from PayPal. And that's all there is to it! If you still have questions, feel free to email us at [email protected] for help. How do payments work for recurring subscriptions (like Memberships and Payment Plans)? Unlike one-time sales, Membership Subscribers pay you monthly or annually for access to your Membership. And customers who purchase your course or download with a payment plan also make multiple payments. As is standard practice in the industry, your affiliates get credit for every payment their referred customer makes. For example, if a referred member signs up for a $10/month plan and you have your affiliate commission to 30%, your referring affiliate will earn $3 for the first payment, and $3 a month for every subsequent month that the member remains subscribed. Or if a referred course customer purchases a payment plan with 3 payments of $99, your affiliate will earn $33 each time the customer's payment is processed. Can my affiliates attach a coupon to their links? Yes, this is possible, but requires some communication between you and your affiliates. In this example, xtop1 is the affiliate code and the coupon is HALF. NOTE: This only works with direct-to-product links not to the storefront. 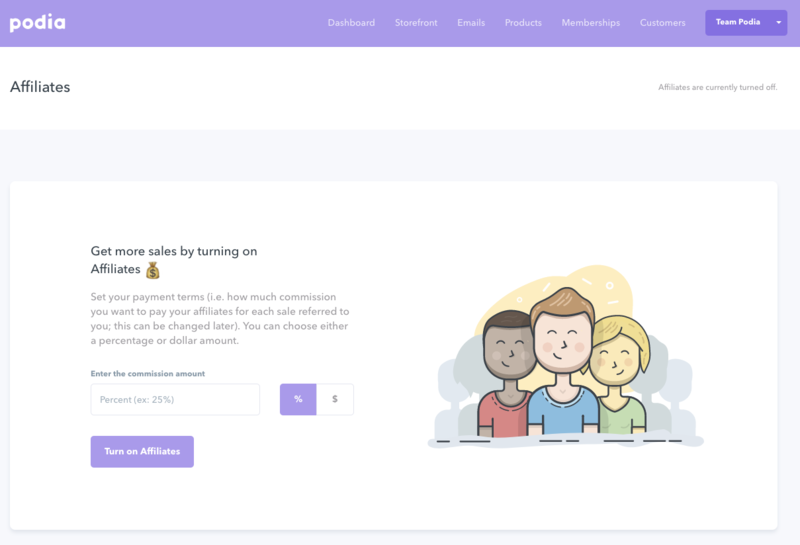 i.e, https://demo.podia.com/a/xtop1/?coupon=HALF will not work.